Tour the New Stampin' Up! Catalog with me! Have you looked through the NEW 2016-2017 Stampin' Up! Catalog yet? 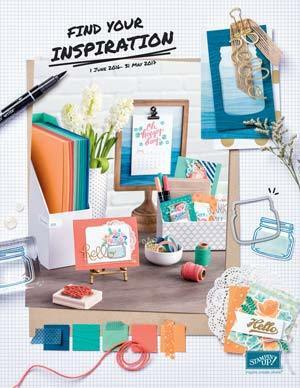 It's filled with fun new products for card making, scrapbooking and gift packaging as well as LOTS of ideas to get your creative juices flowing! This is my first attempt at doing a video and a tour. So, please pardon all my technical difficulties and let me know what you think. Watch my New Catalog Tour Video Now! I'll point out my favorite new things and show you things you don't want to miss. There's a lot to see, so let's get started!! OPPS!! I forgot to tell you about the NEW Big Shot Platform that we all are going to want and need! Watch and learn about it here. Then if you haven't already and you want your own copy of the catalog you can email me with your name and address at bwaterma@tds.net and I will send you one FREE or you can buy one here! Then you can place your orders here! SHOP NOW! Enjoy your New Stampin' Up! Catalog tour!